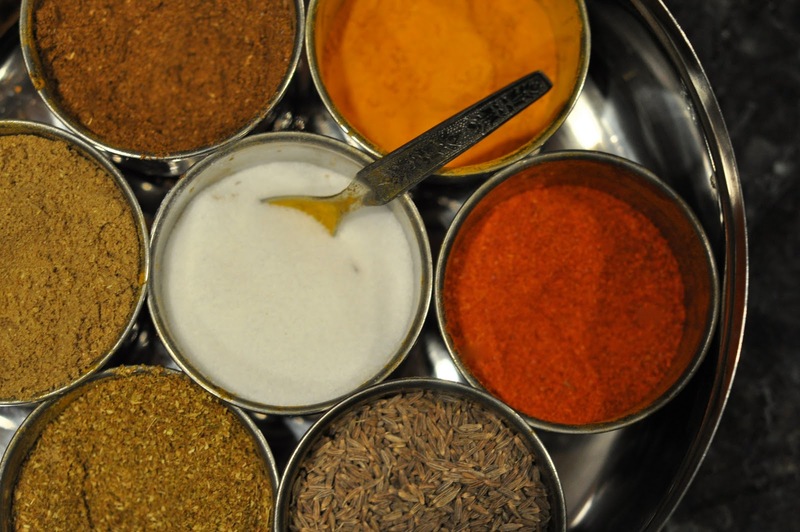 Did you know that Chicken Tikka Masala is the single most popular Indian dish in the world? It is so popular in London my cousins tell me they can go to an English Pub for a beer and Chicken Tikka Masala. Well last night I made a home made variation of this popular dish with shrimp. While I try and be mostly vegetarian these days (I call myself a "flexitarian"), occasionally I will make fish and shrimp. 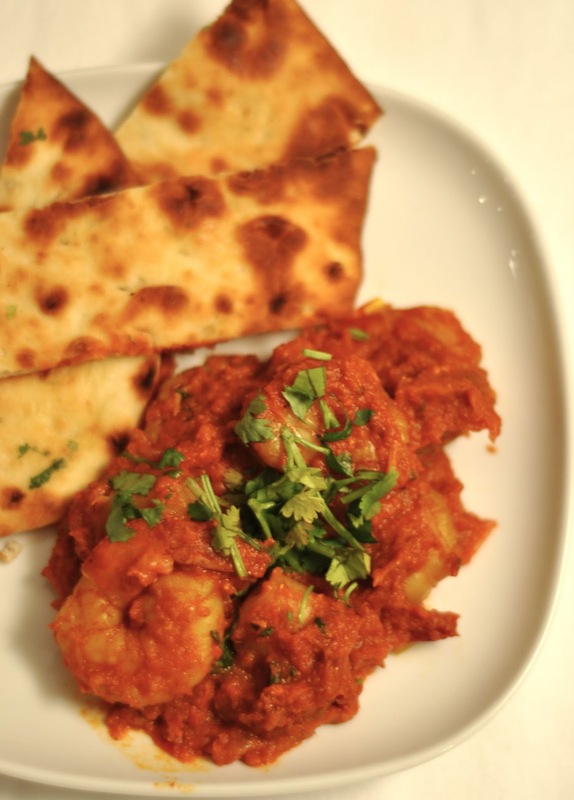 One of my go to recipes is cilantro lime shrimp but this shrimp masala recipe is a new favorite because of the intensity of flavors, the ease of making it, and most importantly my 2 year old highly approves of this dish! Also the best thing about this recipe is that you can use this masala as the base for any vegetable, chicken, fish, or tofu. And if you double up this recipe you can freeze the remainder and just take it out when you need it. Keep in mind there are so many different ways to make a basic masala sauce and every time I do it the recipe changes. Since it is not like baking where you need exact measurements feel free to experiment and adjust the recipe according to your personal taste. 1. Heat oil in a shallow pan and add onions and let onions cook for about 10 minutes. Add ginger, garlic, garam masala, sugar, salt, tumeric, red chili powder, green chili (optional) and tomato paste. Keep stirring and add some water if the mixture becomes too thick. After another 5 minutes or so add the crushed tomatoes and cook for another 5 minutes. 2. Blend the mixture with a hand mixer, blender, or food processor so the consistency of the mixture becomes smooth and even. You don't have to do this step but if you skip it just make sure to use finely diced onions. What is your favorite "go to" meal during the week?